Homeless man faces jail for stealing phone charger, drug possession. LUDINGTON — A 34-year-old homeless man faces serving one year in jail after pleading guilty to larceny in a building, marijuana possession and fourth-offense habitual offender in 51st Circuit Court Tuesday, Dec. 19. 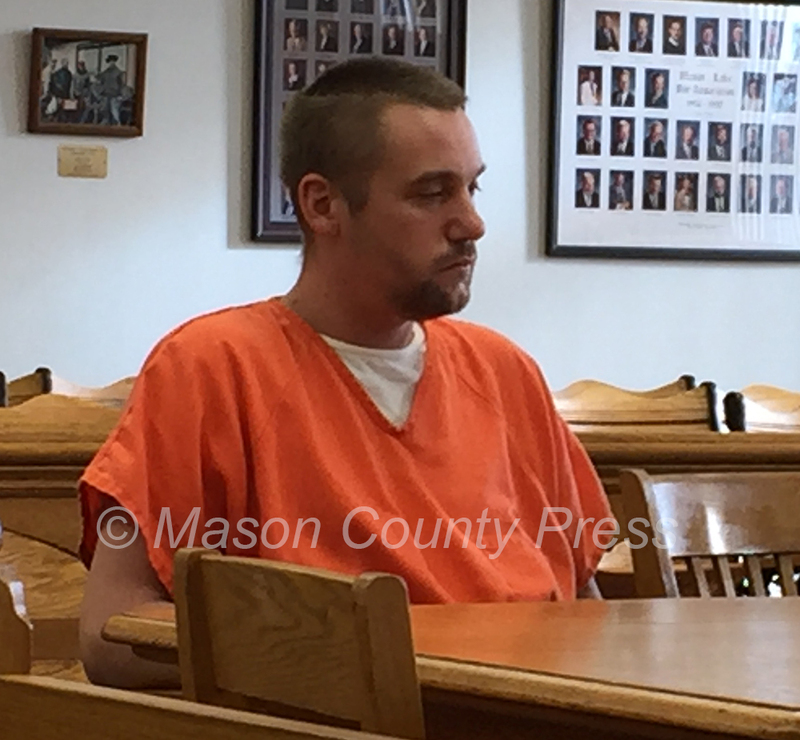 Fremont Kerricks, whose address is listed as “homeless” in his court file, stole a phone charger from the Mason County District Library Ludington branch, Oct. 26, said Mason County Assistant Prosecutor Glenn Jackson III. In exchange for his plea, a misdemeanor illegal entry charge in 79th District Court will be dismissed. Kerricks’ sentence runs concurrently with his probation violation case, Jackson said. Kerricks has previous convictions in 2012 of larceny in a building and unlawful driving away of a motor vehicle for stealing a scooter from a garage, the assistant prosecutor said. Kerricks also has a 2015 conviction of breaking and entering a building with intent, said Judge Susan K. Sniegowski. Sentencing is set for March 6 at 1:30 p.m.